Chatter fills the Senior Hall as Principal Dr. Michael Havener, smiles and greets students. Hearing his phone ring, he diverts his attention to the voice on the other end of the line. The news he receives knocks the wind out of him. He asks them to repeat. Everything, the bustle of heading to class, the laughter of students horsing around, stops. 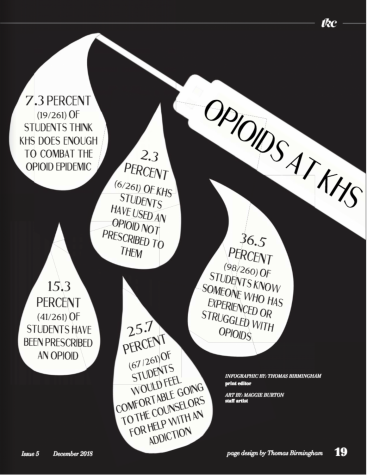 KHS lost its first student to heroin in 2014. Thirteen months later it lost its second. Over the next four years, the Kirkwood community watched over seven children, who once walked the halls of KHS, be buried. Since 2014, opioid addiction has held the Kirkwood community’s attention. However, according to Robert Riley, speaker and former addict, the recent trend of recreational opioid use is not a new occurrence, but new to the community lines opioids have entered. According to The Missouri Department of Health and Senior Services (DHSS), one in every 65 deaths in Missouri were caused by opioid overdose in 2017. The recreational use of opioids is not exclusive to Kirkwood only, but affects the entire nation. According to The Oakland Press, the rise in overdose deaths is not due to an increase in opioid abusers, but from an increase of Fentanyl, a highly potent painkiller, being laced in the street opioid of heroin. For students like Kylie Rollings, junior, their experience with opioid addiction was not first hand, but through becoming friends with users. Rollings met her friend when she was in 8th grade, and immediately knew something was wrong. 84 percent of St. Louis overdose deaths involved opioids in 2017, according to the St. Louis Post-Dispatch. 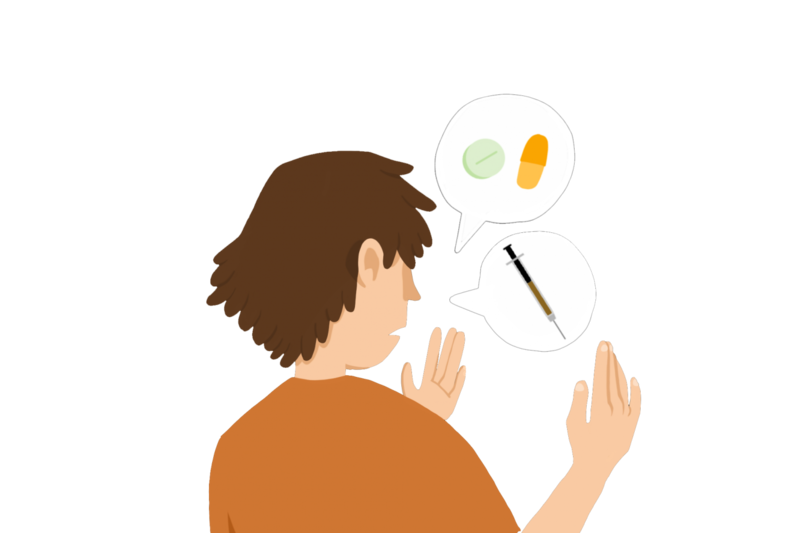 According to Joe Fisch, junior grade level counselor, when counselors are informed a student may be abusing substances, they reach out to the student and their family showing support and encouraging various treatments. The department has access to rehabilitation facilities, counseling, drug tests and various outpatient programs. However, not many students ask for them. While students may not seek help themselves, Fisch and Riley urge friends and family to watch for any signs an individual may be struggling with addiction. According to Riley, in order to help prevent opioid use in teens, parents in Kirkwood must acknowledge the drug’s presence.